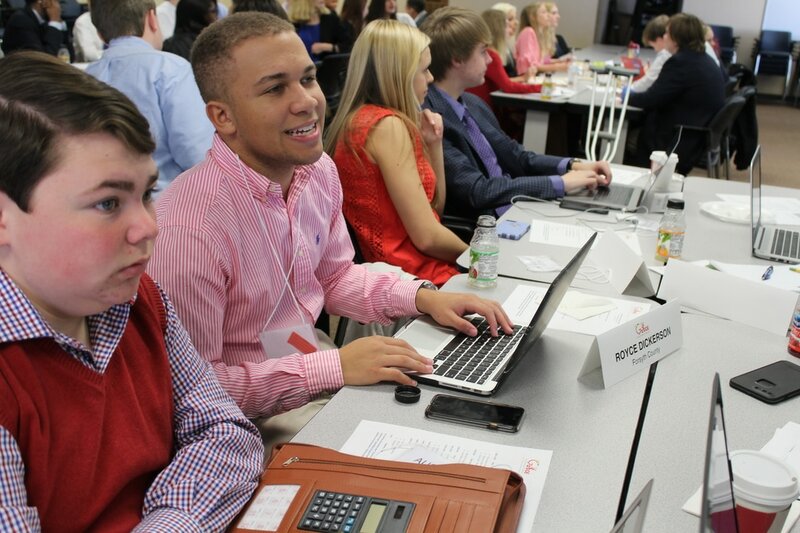 Under Superintendent Woods' leadership, the Georgia Department of Education (GaDOE) is shifting its focus from compliance to service and support. 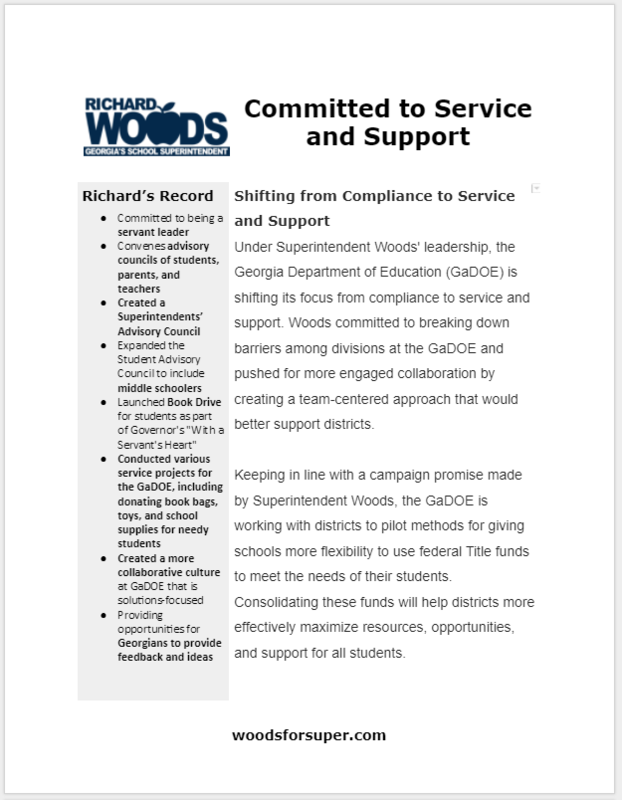 Woods committed to breaking down barriers among divisions at the GaDOE and pushed for more engaged collaboration by creating a team-centered approach that would better support districts. 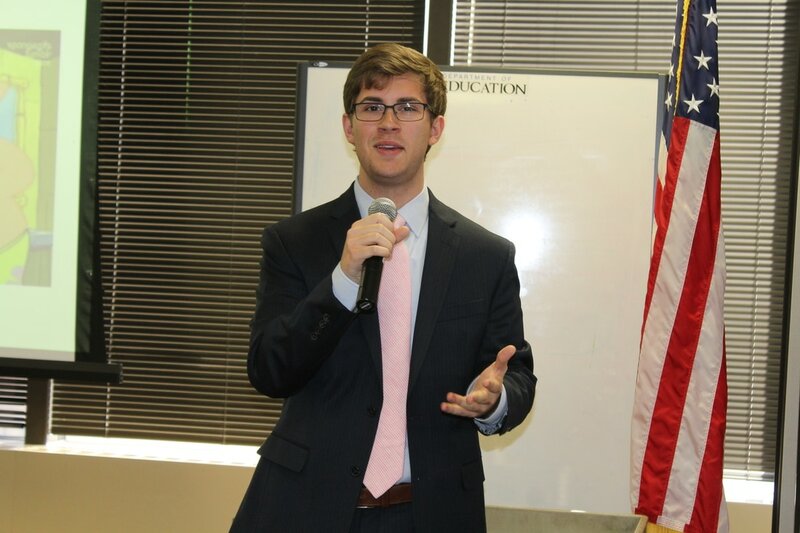 Keeping in line with a campaign promise made by Superintendent Woods, the GaDOE is working with districts to pilot methods for giving schools more flexibility to use federal Title funds to meet the needs of their students. Consolidating these funds will help districts more effectively maximize resources, opportunities, and support for all students. ​Major initiatives are based on the needs and feedback of external stakeholders like students, parents, teachers, and school leaders. Various advisory councils meet throughout the year to provide ongoing feedback from Georgia’s stakeholders. 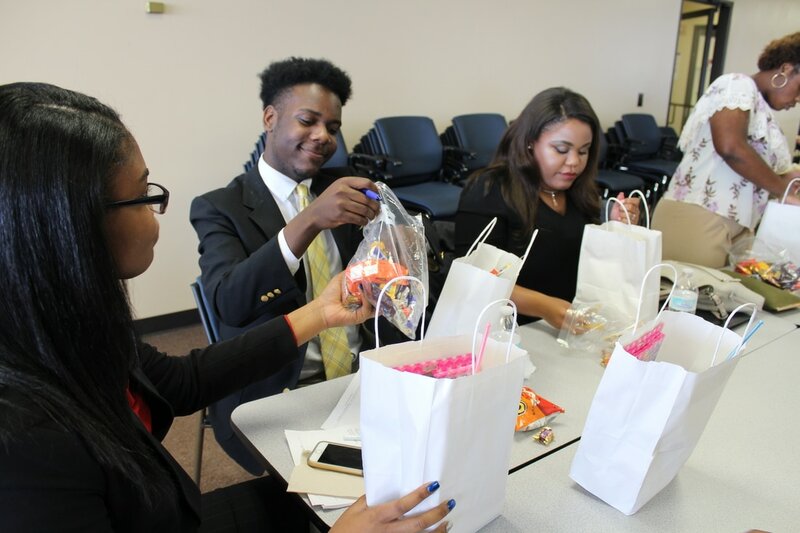 As part of Superintendent Woods' Student Advisory Council, students participate in service projects such as donating food, collecting books, distributing school supplies, and working within schools and out in the communities. 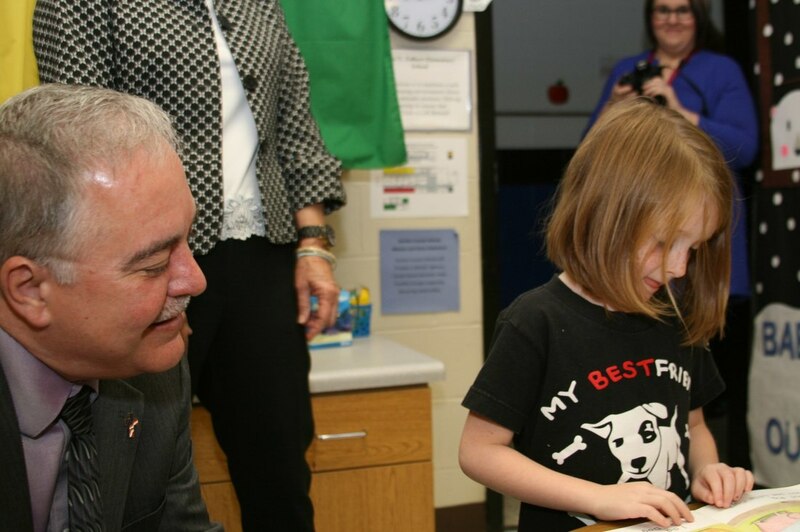 ​Launched Book Drive for students as part of Governor's "With a Servant's Heart"